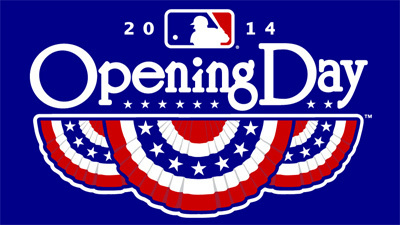 Yesterday was Major League Baseball’s opening day. While there were a few games in Australia and a Sunday night game, yesterday a majority of the teams kicked off their seasons in the sunshine of early spring. Opening day is always a hopeful time. Last year’s woes and unmet expectations are replaced by potential and the possibility of what could be. Even as a Cubs fan, I’m hopeful on opening day. The Cubs haven’t won the World Series since 1908 and haven’t even been to the Fall Classic since 1945. Most experts have picked the Cubs to finish last in their division, a prediction with which I have a hard time disagreeing. Still, hope springs eternal and, even though they lost their first game of the season, this could be their year…but probably not. In honor of the hope of opening day, here are some of the most hopeful Bible stories. Before it was a controversial movie filled with rock creatures, Noah was a story about humanity’s sin and the hope of God’s love. The most hopeful stories are those that come out of a dark time; a light shines most brightly in the darkness. Humanity being wiped out because of its sin definitely qualifies as dark, yet God’s promise is filled with hope. God promised never to bring such full-scale destruction to earth again, regardless of humanity’s sin. Instead, he found a more permanent solution to our sin problem: Jesus Christ. Things were so dark for Elijah that he would have rather died than keep going. Even though he had just won his showdown with the prophets of Baal, Jezebel’s wickedness and violence pushed Elijah to the end of his rope. In that moment, though, the hope of God shined through. Elijah heard the voice of God and found peace in that. God also told Elijah that there was always hope, even when it was difficult to see. Elijah thought that there weren’t any faithful people left in Israel, but God assured him of the faithful remnant. Hope may be difficult to see but it is always there. We just need to look at our God instead of our circumstances to find it. Easter isn’t just the most hopeful story of the Bible; it’s the most hopeful story ever. Easter is the hope of the universe born out of its darkest day. The Son of God hung dead from a tree and evil seemed to have won. Yet three days later hope sprung forth, hope that still impacts our lives today. Because of Easter hope does spring eternal. We have hope every day, in all that we do, because Jesus conquered sin and death with his resurrection. The new life we have is a life of hope, hope that all the brokenness in our world and in our lives is being put back together. There is a lot of hope in our lives because we have a God of hope. Even when it seems darkest, even when it seems most desperate, hope remains. Which helps me keep following Jesus and keep rooting for the Cubs. What are some of your favorite stories of hope?